Taking a vacation as a family is a great way to create memories to last a lifetime and unwind from your normal routines. However, planning a fun and healthy family vacation can present many challenges for parents, especially if you have kids of varying ages, are very money-conscious, or don’t have any strong, shared interests. But despite these setbacks, almost any family can plan and execute a fun and healthy family vacation by following these three simple tips. While you as parents may feel like you automatically know what’s going to be best for your family and their vacation, you may want to include your children in the decision making process to ensure everyone truly enjoys your trip. According to Jim Taylor, a contributor to PsychologyToday.com, letting your kids help with making choices for the family will make them better decision makers in the future. They’ll learn to weigh their options and make a choice in the best interest of all parties. Taylor advises parents to always keep the veto power, but to only use it when absolutely necessary to show your kids you respect their desires as much as your own. One aspect of your family vacation that you’ll have to think very hard about is the activities you’ll all participate in. If you have kids with large age gaps, it can be a real challenge to find either a destination or an activity that will interest everyone without sacrificing too much. However, FamilyVacationCritic.com suggests that if families are able to find a destination that offers ways to relax, get physical, and experience culture, you’re bound to have a winning vacation that is fun for everyone. Just make sure the physical activities you find to do are able to be completed by nearly everyone before you make your final decision on a destination. Planning a healthy vacation entails participating in some kind of physical activity while you’re away. However, if you’re planning to try something new on your vacation, you may be spending the majority of your time learning and not really experiencing this new activity. To avoid this, consider knowing how to do your planned activity before you go, whether it be becoming scuba certified before you leave for the ocean or learning how to ski prior to your winter vacation. By at least trying out these skills before you go, you can better enjoy them on your vacation and work out the kinks as to avoid any unwanted injury that may come as a result of your inexperience. 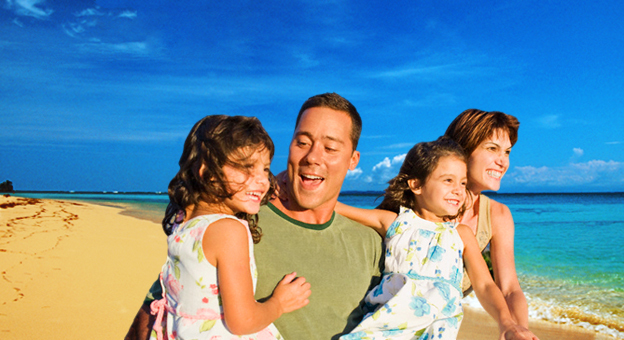 Fun and healthy family vacations are possible regardless of the type of family unit you have. Use the tips mentioned above to plan an unforgettable family vacation for your group to enjoy this year.